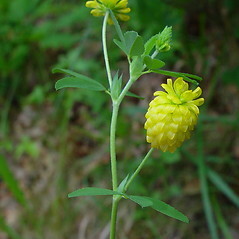 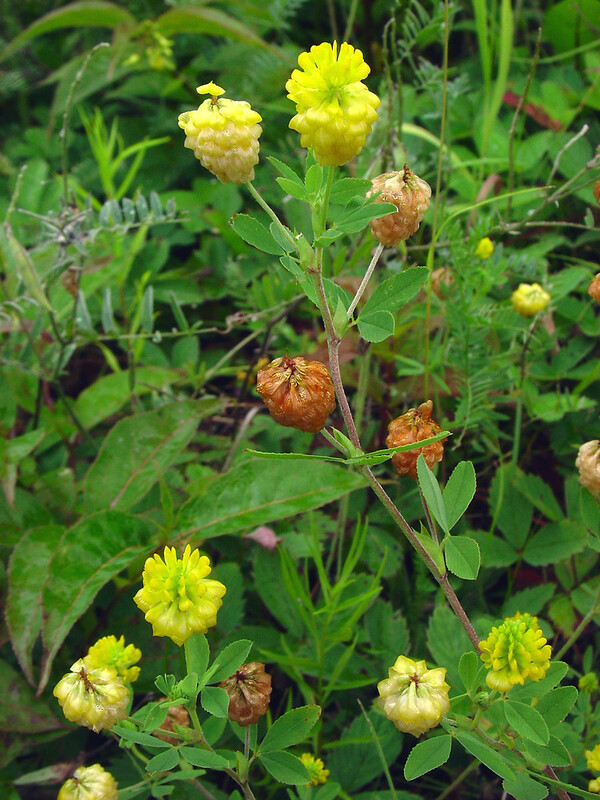 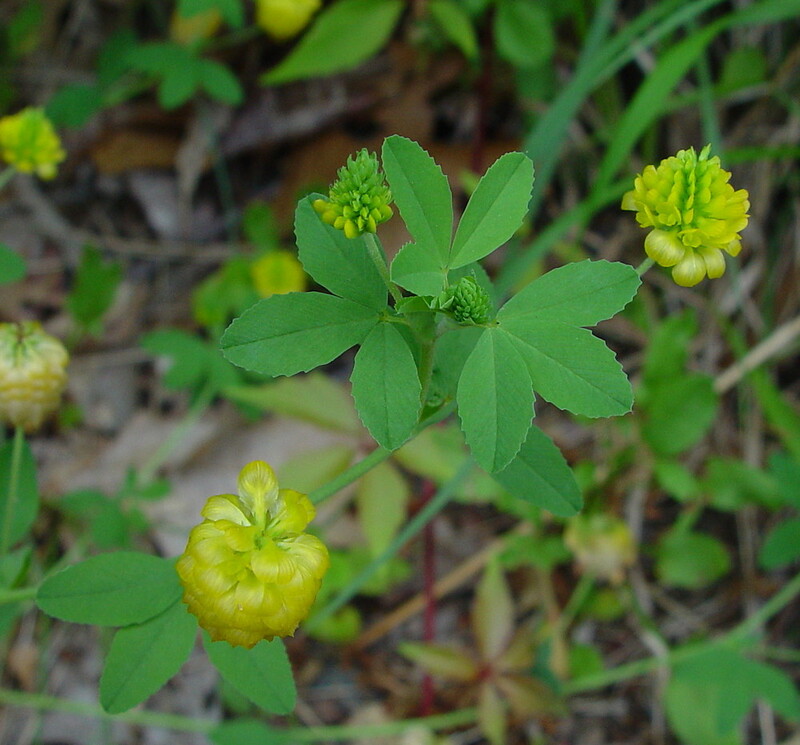 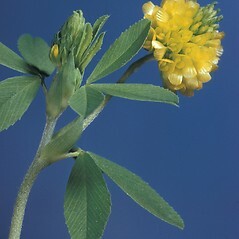 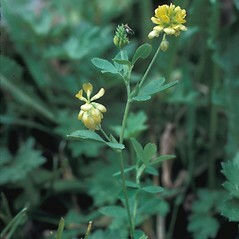 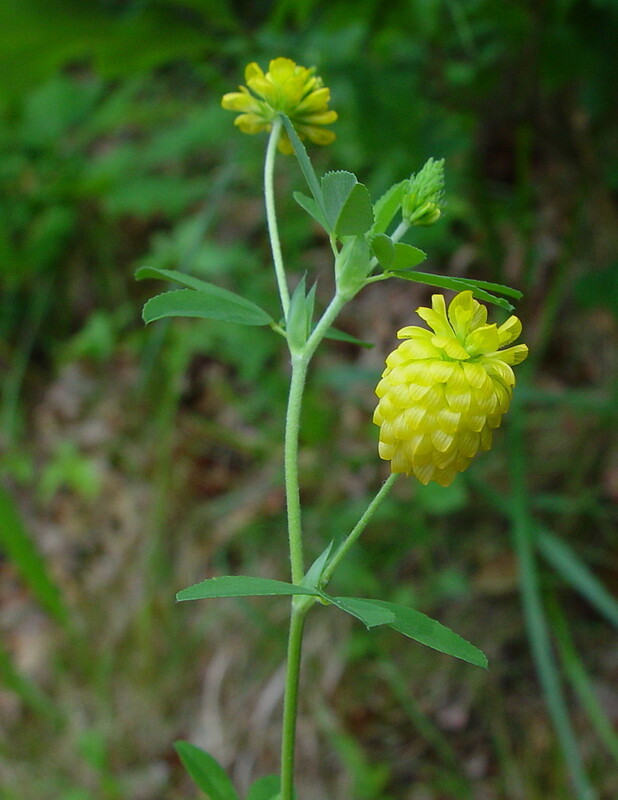 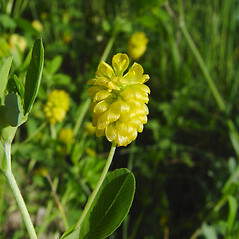 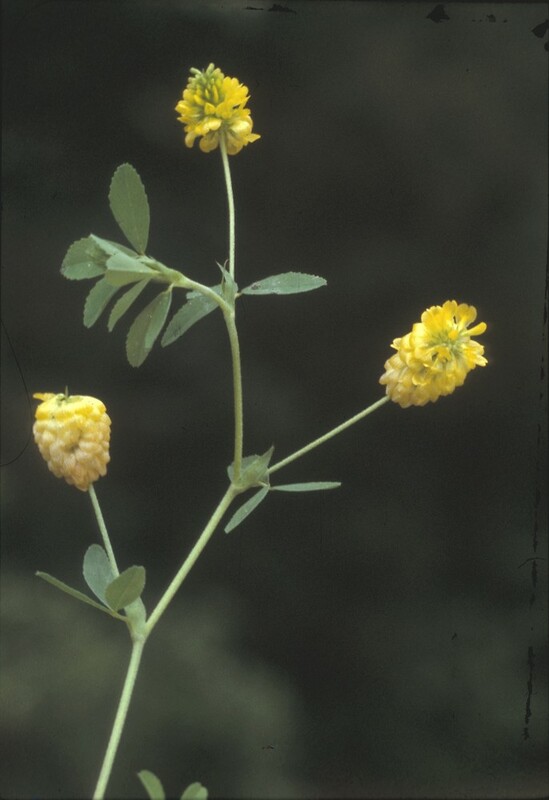 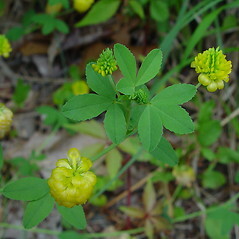 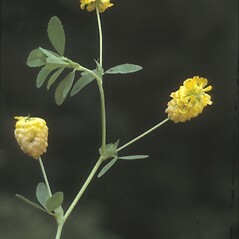 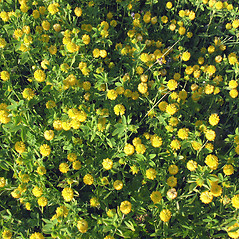 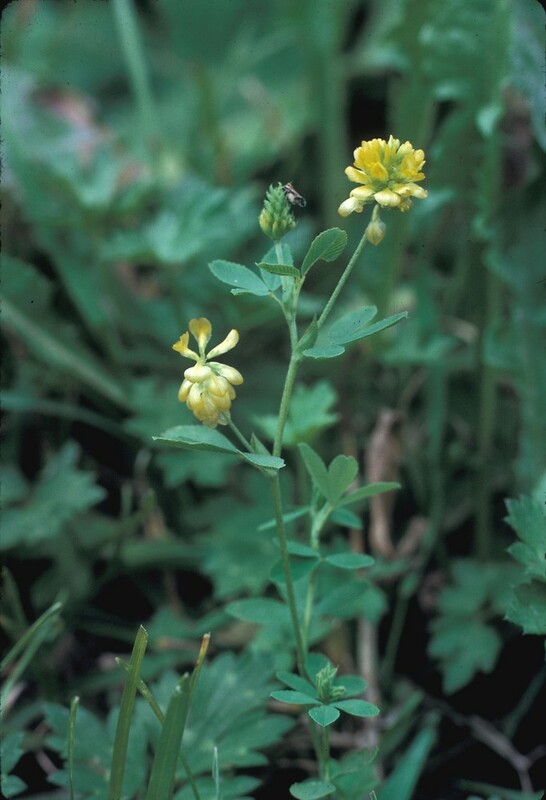 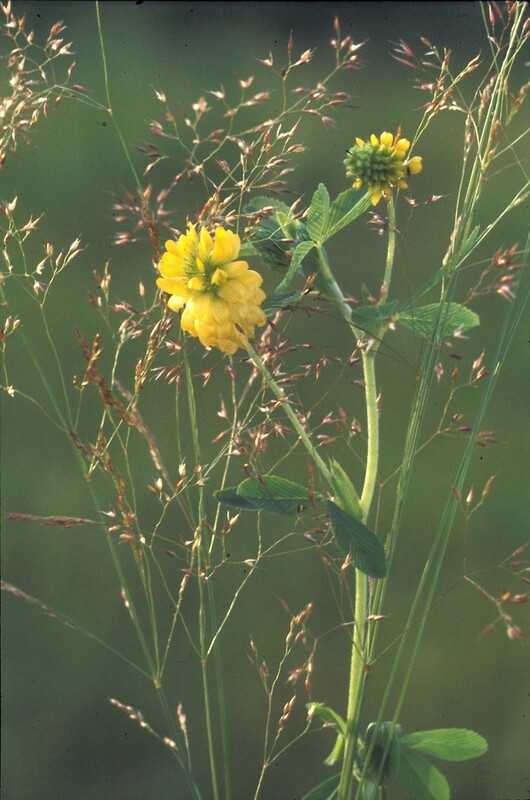 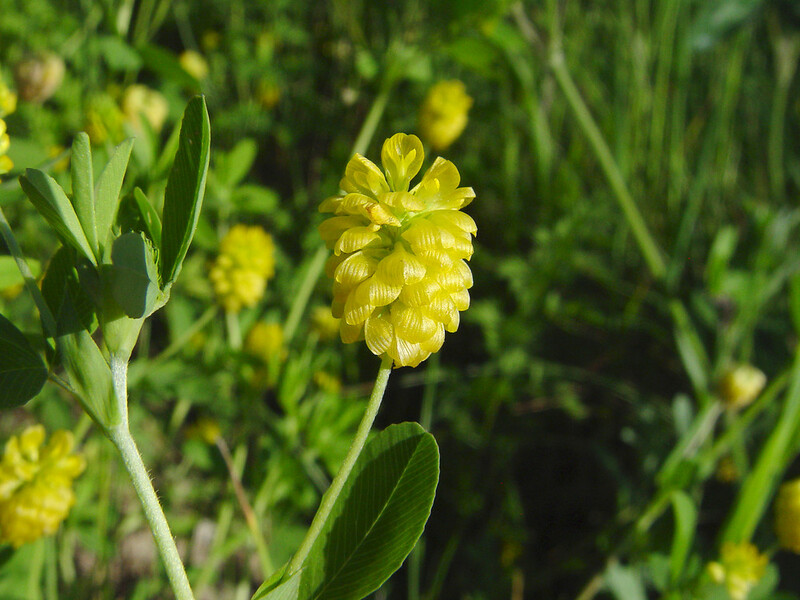 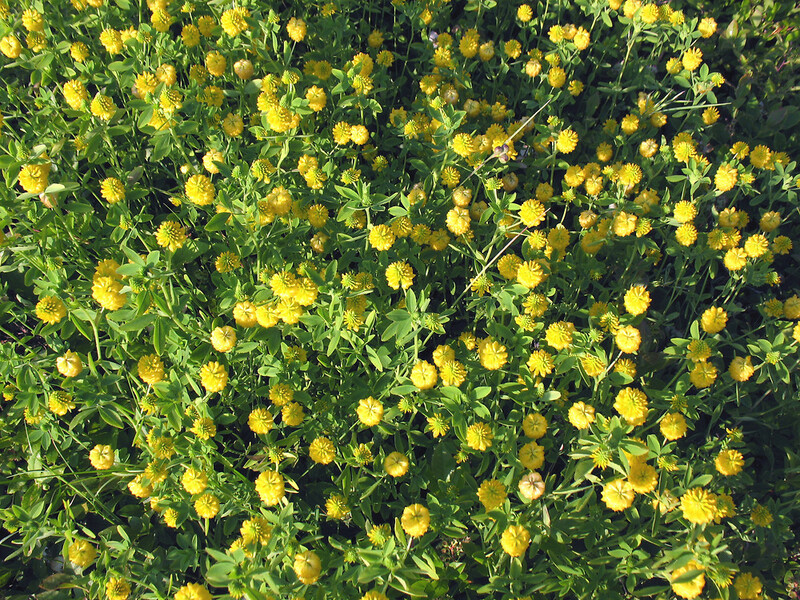 Palmate hop clover is an exotic species that is widespread in New England. 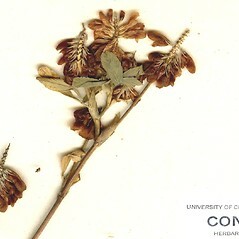 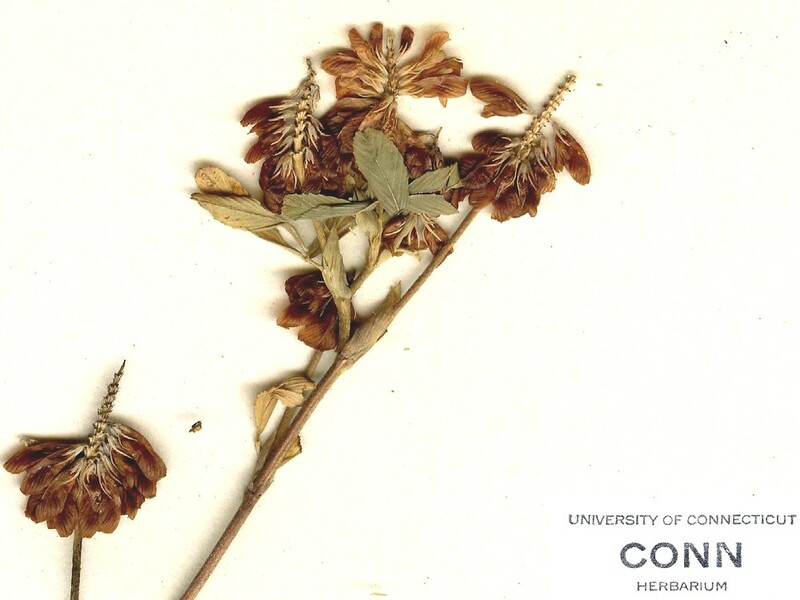 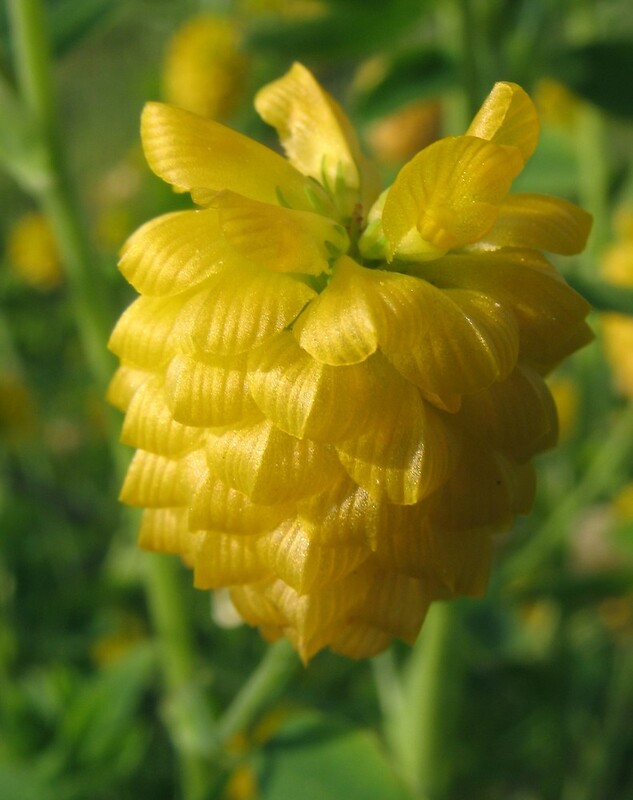 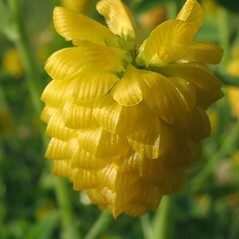 The common name derives from the fact that as the flower heads age, the florets fold down and become brown, resembling dried hops. 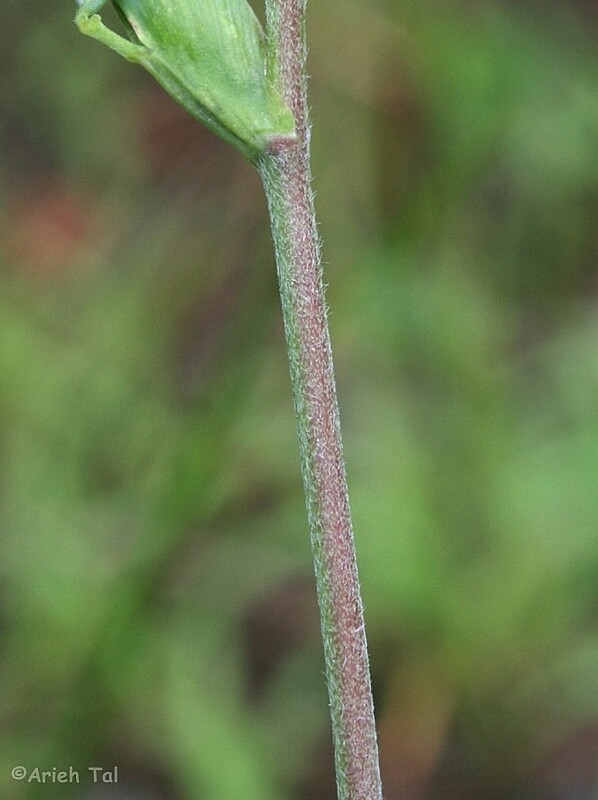 central leaflet of leaf on a stalk that is longer than the stalks of the lateral leaflets and flowers 3.5-4 mm long (vs. T. aureum, with the central leaflet of leaf without a stalk or on a stalk that is approximately the same length as the stalks of the lateral leaflets and flowers 5-7 mm long). 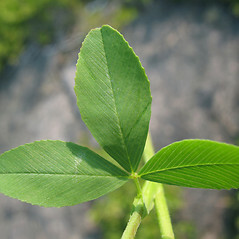 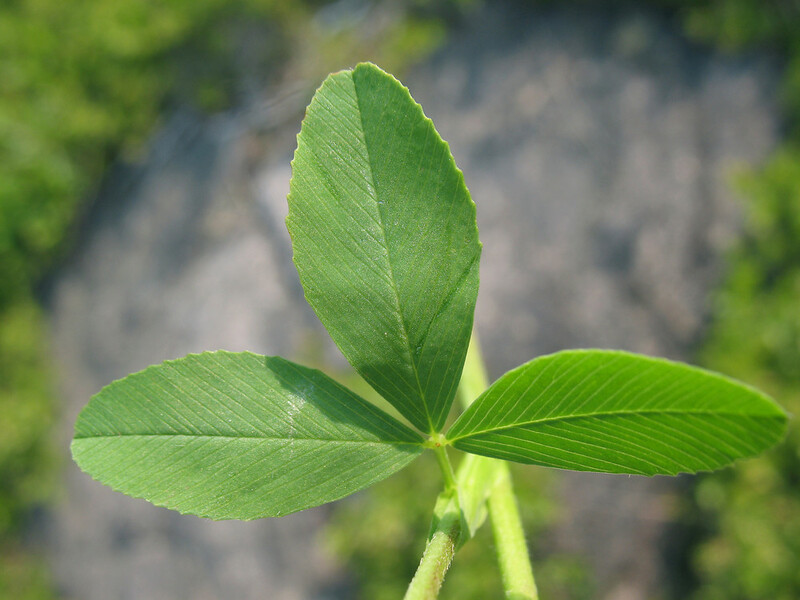 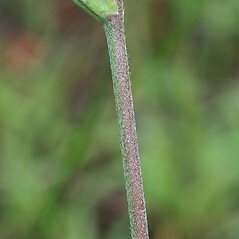 central leaflet of leaf on a stalk that is longer than the stalks of the lateral leaflets and flowers mostly 4-5 mm long (vs. T. aureum, with the central leaflet of leaf without a stalk or on a stalk that is approximately the same length as the stalks of the lateral leaflets and flowers 5-7 mm long). 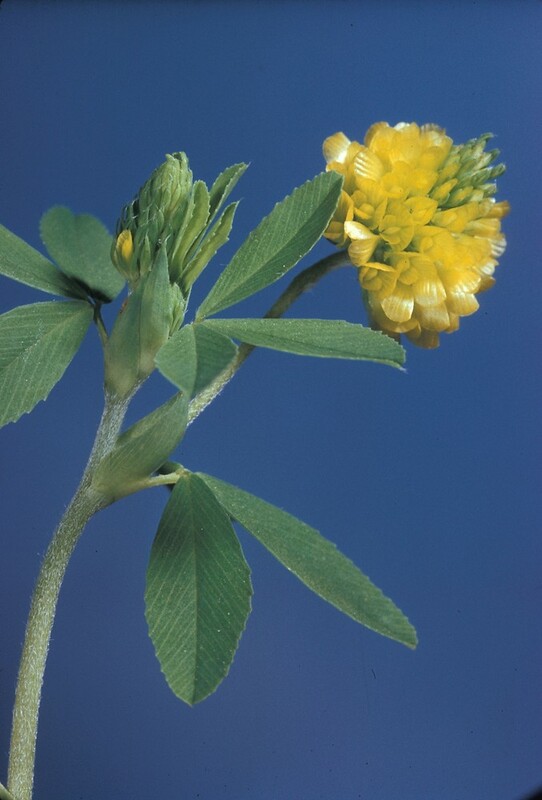 palmate hop clover. 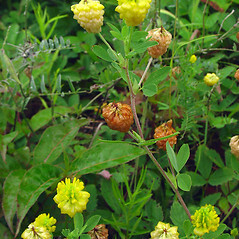 Trifolium agrarium L. • CT, MA, ME, NH, RI, VT; nearly throughout. 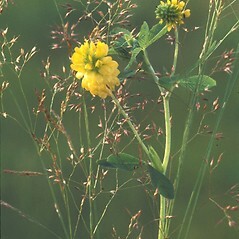 Roadsides, fields, waste areas.